With our headquarters in Panama, at the heart of the Americas, we can move pets to and from anywhere in the world…even if Panama isn’t on the travel itinerary. 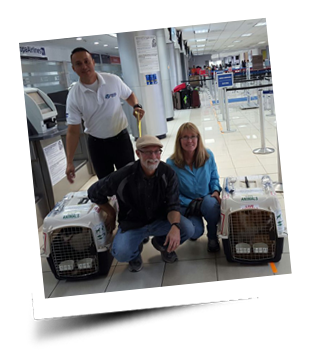 Whether you’re moving with your dog, cat, bird or other pet from the US to Europe, Europe to North America, Central America or South America, or from any country to any other country, Panama Pet Relocation will get your pet there safely. You’ll get international professional help to plan your pet’s move plus personal care for your pet at departure, arrival and right to your front door, if desired. 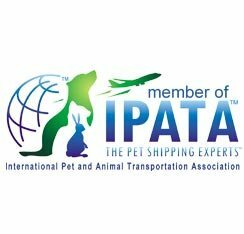 Panama Pet Relocation belongs to the largest pet shipping organization in the world: IPATA (International Pet and Animal Transportation Association). We have more than 350 professional pet shippers available in over 80 countries. Each one of them is an expert in their destination’s animal transport policies and requirements. Do you have the correct travel documents for your dog? What vaccinations are needed for your cat? Will your pet bird have to be quarantined? These are things you need to know ahead of time when shipping pets. Our global network of agents will ensure there are no surprises at departure or arrival.